I took this photo a couple years ago. The diner, a 1951 Silk City, has been remodeled beyond Recognition, but still has a great old sign. Does anyone have shots of the interior or of the diner before it was remodeled? 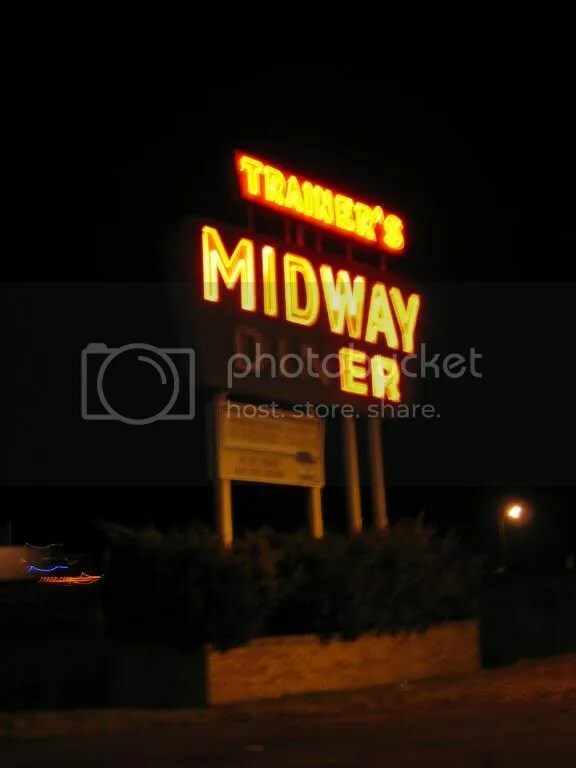 This entry was posted in Diners / roadside related, Diners/ restaurants, Silk City and tagged Pennsylvania, Trainer's Midway Diner by Spencer Stewart. Bookmark the permalink.